An American original, Truman Capote was one of the best writers of his generation, a superb and almost matchless stylist. His short stories made him a literary celebrity while still in his teens, and for the next thirty years he was a comet of genius, fame, and finally self-destruction. His first novel, Other Voices, Other Rooms, published in 1948, was followed ten years later by Breakfast at Tiffany’s, which introduced to the world one of American literature’s most endearing heroines, the irrepressible Holly Golightly. In the 1960s came the phenomenal success of In Cold Blood, a true-crime story whose novelistic techniques have influenced non-fiction writers ever since. A much-sought-after dinner guest among the rich and famous, Capote reciprocated in 1966 with a party that made headlines, his black-and-white ball at Manhattan’s Plaza Hotel. The trauma of researching and writing In Cold Blood had shaken him, however, and even as he reached the heights, Capote was beginning a losing battle with drugs and alcohol. In 1975 he published a chapter from an uncompleted novel, Answered Prayers, in Esquire magazine. The unflattering, thinly disguised portraits of some of his rich friends provoked a furious reaction, and the comet that had risen so swiftly fell even faster. Capote died in 1984, just short of his sixtieth birthday. Capote’s is an astonishing story, and Gerald Clarke’s biography, first published in 1988, tells it in all its many dimensions. 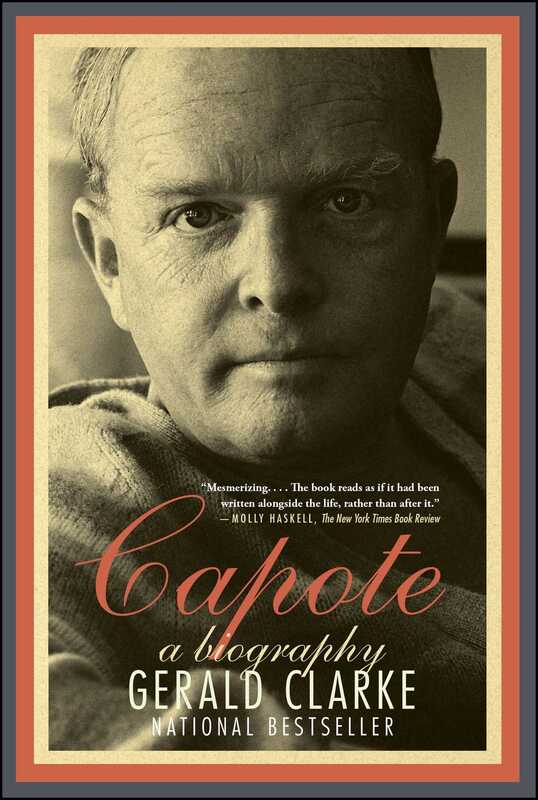 Based on hundreds of hours of interviews with Capote himself, as well as interviews with nearly everyone else who knew him, it is now recognized as a masterpiece of literary art. "Mesmerizing. . . . The book reads as if it had been written alongside the life, rather than after it."